Move in and unpack! Immaculate & spacious 3 bedroom, 3 bath home in Richmondtown, Staten Island. 1,280 sq.ft semi-attached home, not including spacious finished basement with backyard access. 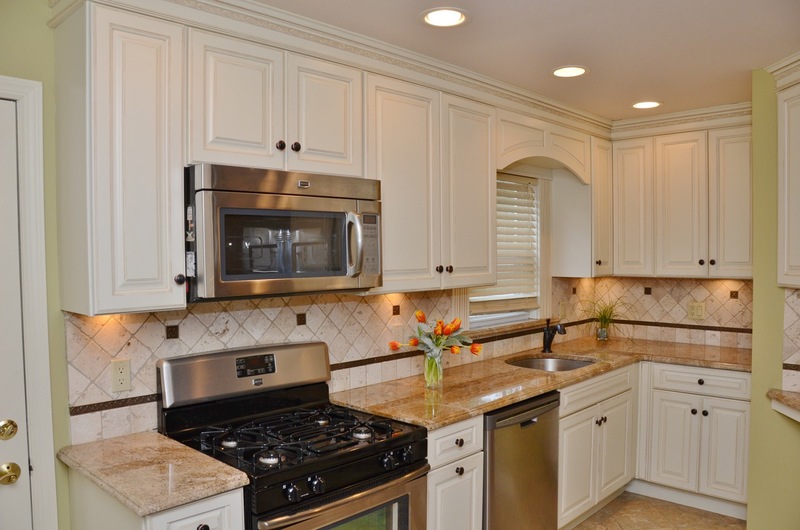 Love this renovated kitchen, bright, spacious & happy! Gorgeous all new renovated huge kitchen, custom cabinets, under cabinet lighting, granite countertops, stainless steel appliances, tiled floor, tumbled marble backsplash, hi-hats, lots of cabinets and convenient backyard access. Heating system & Central Air, 3 years old, Roof-1 layer & Attic Fan 3 Years Old. French drain installed, newer windows, siding & bathrooms. Beautiful hardwood floors throughout. Near buses, train, & shopping! 1ST LEVEL: Entrance foyer, spacious living room, dining room, updated 1/2 bath, new large EIK, door to private yard. 2ND LEVEL: Large Master bedroom, spacious hallway, 2 large bedrooms, hall closet…updated full bath, ATTIC: great for storage with electric. BASEMENT: door to private backyard, lots of storage, office/bedroom or family room, separate laundry room, 3/4 bath.